Block caving is a highly resource-efficient method of underground mining, in which large underground ore blocks are cut from beneath, allowing the ore to collapse under its own weight. After collapsing, ore is drawn through drawpoints and conveyed to a crusher. In DOZ block caving, LHD loaders transfer ore slurry into ore passes leading to chutes. Ore slurry from chutes fill AD-55 haul trucks for removal to crushers. Crushed ore is then transported to the mill on conveyors. 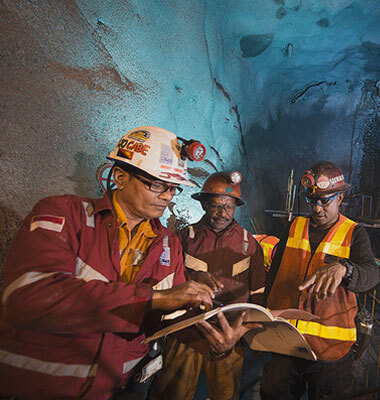 DOZ underground mine development (capacity 25.000 tons/day) is completed 18 months faster than the prior schedule. Not long after DOZ production reaches 25.000 tons/day, expansion to 35.000 tons/day was soon finished right on the schedule and budgets. We have completed expansion of DOZ production capacity to 50,000 tons/day with a second crusher and additional ventilation, as well as accelerated certain developments, for a cost of approximately US $60 million. We anticipate increasing production to 80,000 tons/day. This increase would speed up recovery of high-grade ore from underground mining. Early figures indicate highly promising economic gains. We are currently developing the Big Gossan deposit, which is located in relatively close proximity to the existing mill. Due to the deposit's geometric shape, the mining method selected to be most suited for Big Gossan is open stope with paste backfill. Excavated ore is conveyed to the same processing facility as the one used for DOZ. "Stope" is the step-like excavation made during extraction of ore. Stope dimensions in Big Gossan are largely approximately: 40 m long, 15 m high, and 20 m wide. Development from 2005 to 2009 was estimated to cost US$225 million. 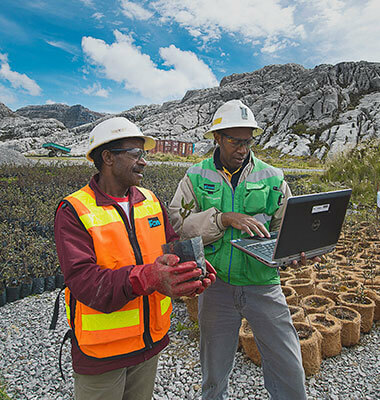 The mine began production in 2009 and reached peak production of 7,000 tons/day in 2011. Big Gossan is expected to yield more or less another 135 million pounds of Cu and 65,000 ounces of Au per year. Illustration block cave method in underground mines. Drifts are built at various levels. Stopes are drilled and blasted from above. Ore is extracted from beneath and dropped into ore passes leading to crushers. Cavities are backfilled to maintain stability. 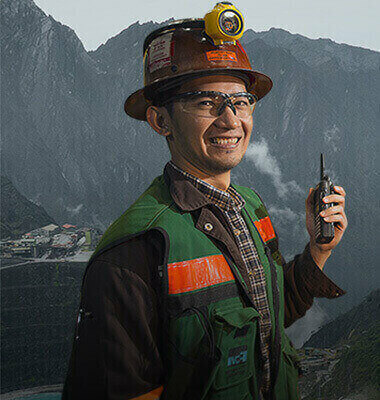 Stope mining follows a certain sequencing, with active stoping at various levels to maintain stability and maximize ore extraction. This is a high-cost operating method as ore extraction requires blasting and backfilling of cavities.